Can you say world's best teacher? 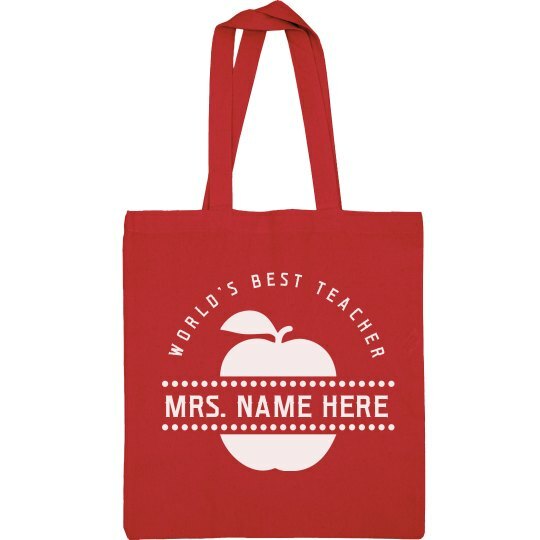 Customize this trendy tote bag by adding your favorite teacher's name across the front. This cute canvas bag will make a great gift at the end of the school year.